Duncan Davies | Little & Davies Insurance & Financial Planning Ltd.
Duncan Davies is a managing partner of Little & Davies Insurance & Financial Planning. He began his career in the financial services industry over 25 years ago as a Standard Life agent. Today, as a chartered financial consultant, Duncan continues to be avidly committed to helping his clients achieve what matters most to them. Duncan has earned the Certified Financial Planner (CFP), Chartered Life Underwriter (CLU) and Chartered Financial Consultant (CH.F.C.) designations. He is currently working toward the Certified Employee Benefits Specialist (CEBS) designation. This specialized training, combined with his many years of experience, has led him to become a specialist in personal and corporate financial planning. 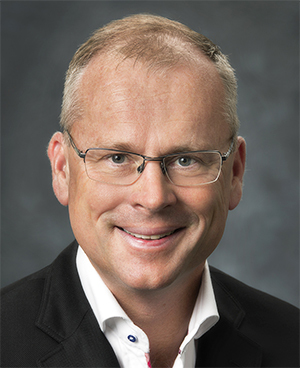 A member of the Victoria Estate Planning Council, Duncan is also a member and past board member of Advocis (formerly known as CAIFA, or Canadian Association of Insurance and Financial Advisors Victoria). He is actively involved as a board member of the Camosun College Foundation. Duncan and his wife, Cindy, are the proud parents of three outstanding children: Cameron, Patrick and Rachel. Duncan leads an active life and enjoys golfing, scuba diving, fishing, fitness, travel and racing sailboats as a member of the Royal Victoria Yacht Club.